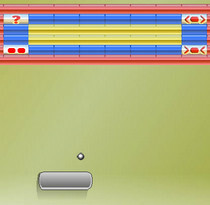 Play Stationery Game, which is an educational game at Friv for School. This is a game for those kids who have just started learning new things or getting ready to join the school. This is a simple game in which children can get familiar with the different stationery things. Play muted. You may also like Blacksmith Lab Game. Game Controls and Playing: There is a slide on the top of the game screen in each level. There are 3 images on the game screen as well. Choose the correct image from the pictures which matches with the image in the slide. Play with Arrow Keys.